and visualized by Texas red dextran, in white. Kagimoto, S., Takebe, T.*, Kobayashi, S., Yabuki, Y., Hori, A., Hirotomi, K., Mikami, T., Uemura, T., Maegawa, J., and Taniguchi, H. (2016). Autotransplantation of Monkey Ear Perichondrium-Derived Progenitor Cells for Cartilage Reconstruction. Cell Transplantation 25, 951-962. Takebe, T.*, Enomura, M., Yoshizawa, E., Kimura, M., Koike, H., Ueno, Y., Matsuzaki, T., Yamazaki, T., Toyohara, T., Osafune, K., et al. (2015). Vascularized and Complex Organ Buds from Diverse Tissues via Mesenchymal Cell-Driven Condensation. Cell stem cell 16, 556-565. Takebe, T.*, Kobayashi, S., Suzuki, H., Mizuno, M., Chang, Y.M., Yoshizawa, E., Kimura, M., Hori, A., Asano, J., Maegawa, J., et al. (2014). Transient vascularization of transplanted human adult–derived progenitors promotes self-organizing cartilage. Journal of Clinical Investigation 124, 4325-4334. Zheng, Y.W., Tsuchida, T., Shimao, T., Li, B., Takebe, T., Zhang, R.R., Sakurai, Y., Ueno, Y., Sekine, K., Ishibashi, N., et al. (2014). The CD133 + CD44 + Precancerous Subpopulation of Oval Cells Is a Therapeutic Target for Hepatocellular Carcinoma. Stem Cells and Development 23, 2237-2249. Takebe, T.*, Zhang, R.R., Koike, H., Kimura, M., Yoshizawa, E., Enomura, M., Koike, N., Sekine, K., and Taniguchi, H. (2014). Generation of a vascularized and functional human liver from an iPSC-derived organ bud transplant. Nature Protocols 9, 396-409. Takebe, T.*, Koike, N., Sekine, K., Fujiwara, R., Amiya, T., Zheng, Y.W., and Taniguchi, H. (2014). 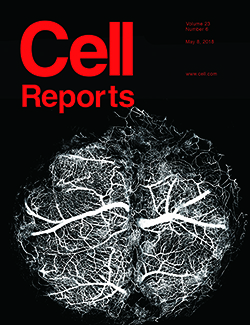 Engineering of human hepatic tissue with functional vascular networks. Organogenesis 10, 260-267. Mizuno, M., Kobayashi, S., Takebe, T., Kan, H., Yabuki, Y., Matsuzaki, T., Yoshikawa, H.Y., Nakabayashi, S., Ik, L.J., Maegawa, J., et al. (2014). Brief Report: Reconstruction of Joint Hyaline Cartilage by Autologous Progenitor Cells Derived from Ear Elastic Cartilage. STEM CELLS 32, 816-821. Koike, H., Ueno, Y., Naito, T., Shiina, T., Nakata, S., Ouchi, R., Obana, Y., Sekine, K., Zheng, Y.W., Takebe, T., et al. (2014). Ring1B promotes hepatic stem/progenitor cell expansion through simultaneous suppression of Cdkn1a and Cdkn2a in mice. Hepatology 60, 323-333. Takebe, T.*, Sekine, K., Enomura, M., Koike, H., Kimura, M., Ogaeri, T., Zhang, R.R., Ueno, Y., Zheng, Y.W., Koike, N., et al. (2013). Vascularized and functional human liver from an iPSC-derived organ bud transplant. Nature 499, 481-484. Tanaka, H., Tanaka, S., Sekine, K., Kita, S., Okamura, A., Takebe, T., Zheng, Y.W., Ueno, Y., Tanaka, J., and Taniguchi, H. (2013). The generation of pancreatic β-cell spheroids in a simulated microgravity culture system. Biomaterials 34, 5785-5791. Takebe, T.*, Sekine, K., Suzuki, Y., Enomura, M., Tanaka, S., Ueno, Y., Zheng, Y.W., and Taniguchi, H. (2012). Self-Organization of Human Hepatic Organoid by Recapitulating Organogenesis In Vitro. Transplantation Proceedings 44, 1018-1020. Takebe, T.*, Koike, N., Sekine, K., Enomura, M., Chiba, Y., Ueno, Y., Zheng, Y.W., and Taniguchi, H. (2012). Generation of Functional Human Vascular Network. Transplantation Proceedings 44, 1130-1133. Koike, H., Kubota, K., Sekine, K., Takebe, T., Ouchi, R., Zheng, Y.W., Ueno, Y., Tanigawa, N., and Taniguchi, H. (2012). Establishment of automated culture system for murine induced pluripotent stem cells. BMC Biotechnology 12, 81-81. Kobayashi, S. #, Takebe, T. #, Zheng, Y.W., Mizuno, M., Yabuki, Y., Maegawa, J., and Taniguchi, H. (2011). Presence of Cartilage Stem/Progenitor Cells in Adult Mice Auricular Perichondrium. PLoS ONE 6, e26393-e26393. Kobayashi, S. #, Takebe, T. #, Inui, M., Iwai, S., Kan, H., Zheng, Y.W., Maegawa, J., and Taniguchi, H. (2011). Reconstruction of human elastic cartilage by a CD44+ CD90+ stem cell in the ear perichondrium. Proceedings of the National Academy of Sciences 108, 14479-14484. Takebe, T.,* Wells, J.M., Helmrath, M.A., Zorn, A.M.* (2018). Organoid Center Strategies for Accelerating Clinical Translation. Lewis K., Takebe, T.* (2018). Tumoroid à la carte: Path for personalization. Hepatology. Takanori Takebe (2017) Experimental Medicine, Japan, Yodosha Co., Ltd.
Takahashi, Y., Takebe, T.*, and Taniguchi, H. (2016). Engineering pancreatic tissues from stem cells towards therapy. Regenerative Therapy 3, 15-23. Shinozawa, T., Yoshikawa, H.Y., and Takebe, T*. (2016). Reverse engineering liver buds through self-driven condensation and organization towards medical application. Developmental Biology. Koike H, Takebe T*. (2016) Generating Mini-Organs in Culture. Current Pathobiology Reports; doi:10.1007/s40139-016-0101-y. Koike H, Takebe T*. Growing Mini-Organs from Stem Cells. Encyclopedia of Molecular Cell Biology and Molecular Medicine, Wiley-VCH, 2016. Zhang, R.R., Koike, H., and Takebe, T.*(2015). The visualization of human organogenesis from stem cells by recapitulating multicellular interactions. In Hyper Bio Assembler for 3D Cellular Systems, pp. 275-283. Taniguchi, H., and Takebe, T.* (2015). Generation of functional human organs from pluripotent stem cells. Japanese Journal of Transplantation 50, 24-30. Rashid, T., Takebe, T., and Nakauchi, H. (2015). Novel strategies for liver therapy using stem cells. Gut 64, 1-4. Takebe, T.*, and Taniguchi, H. (2014). Vascularized and functional liver deribed from human induced pluripotent stem cells by recapitulating organogenesis. Yokohama Medical Journal 65, 503-507. Takebe, T.*, and Taniguchi, H. (2014). Human iPSC-derived miniature organs: a tool for drug studies. Clin Pharmacol Ther 96, 310-313. Takahashi, Y., Takebe, T.*, and Taniguchi, H. (2014). 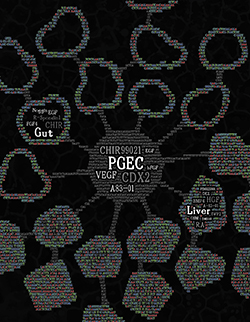 Generation of pancreatic beta-cells from pluripotent stem cells. Organ Biology 21, 228-236. Takebe, T.*, and Taniguchi, H. (2013). Creation of vascularized and functional organ from human iPS cell. Organ Biology 20, 182-185. Judee Grace Nemeno-Guanzon, Johan Robert Berg, Mitsuru Mizuno,　Soojung Lee, Yong Hwa Jo, Jee Eun Yeo, Bo Mi Nam, Bo Young Kim, Dae-Hyun Kim, Yong-Gon Koh, Takebe T* and JeongIk Lee*: Towards the advancement of blood vessel tissue engineering. International Journal of Tissue Regeneration, 4(1), 7-11, 2013.